PIRANHA adjustable lanyard is a compact device used for work positioning on masts, towers, pylons or other lattice structures in the telecoms, power and entertainment industries. The Piranha adjustable lanyard has a gradual action and can be accurately controlled with one hand – for both taking in and paying out. 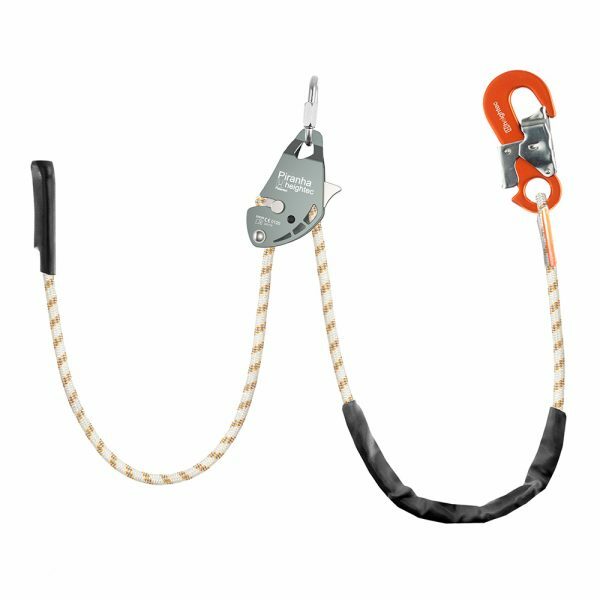 NB: When used for positioning an additional fall protection system should be used. Always place equipment so as to minimise a potential fall. Lengths available: 2m, 3m, 5m.